You will be offered NHS pregnancy ultrasound scans during early pregnancy between 8 to 14 weeks. However, you’ll only be offered additional scans if you’re experiencing problems, such as pain or vaginal bleeding. The second scan will also check baby’s development and is performed between 18 and 21 weeks. The scan may also show if you are expecting a baby girl or boy. Please note if your baby’s lying in an awkward position, it’s not always easy to tell the gender of the baby. The hospital will not offer you another scan if this is the case. The person performing the scan is called a sonographer. The sonographer will put gel onto your tummy to start the examination. The gel usually feels cold and you may feel a little discomfort when the ultrasound probe (transducer) presses on your tummy. An ultrasound scan takes approximately 10 minutes to complete. A screen will be visible for you to also see what the sonographer is looking at. It is advised you have a full bladder, when having a scan. This helps the ultrasound echoes to reach your womb, giving them a better view of your baby. The transducer sends high frequency sound waves in your abdomen to build a picture of the baby. These waves bounce off your baby and back to the computer to be translated into a picture. Hard tissues, such as bone, reflect the most sound waves and make the biggest echoes. These appear white in the image, and soft tissues appear grey. Fluids, such as the amniotic fluid surrounding your baby, appear black. This is because the sound waves go through them with no echoes. Some worry that ultrasounds may cause harm to the baby, this is not the case. Unlike X-ray imaging, there is no ionizing radiation exposure. Ultrasounds are designed in such a way that it does not cause harm to mother or baby and can be carried out at any stage of pregnancy. 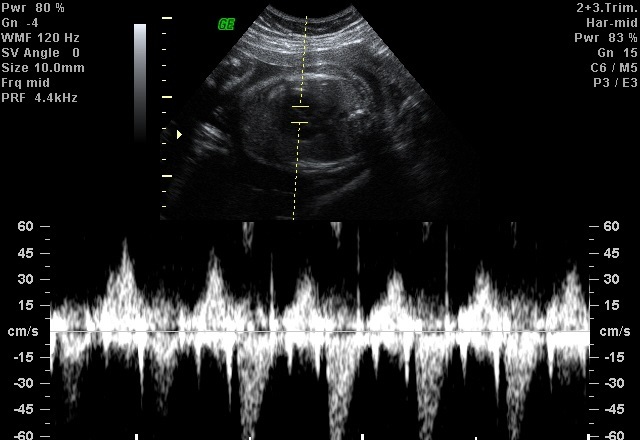 What do NHS Ultrasound Scans look for? Visualise the heartbeat and listen (depending on gestation). Say whether you’re pregnant with one baby or multiples. Assess your baby’s risk of Down’s syndrome by measuring fluid at the back of your baby’s neck. (nuchal translucency (NT) scan). Date pregnancy by measuring your baby. Check all organs are normal. Why do I have more scans? You could be given extra scans in your pregnancy if particular issues are a concern. Growth restriction or large-for-dates babies would warrant extra scans. Issues such as gestational diabetes, multiple pregnancy, if you have suffered with more than 3 miscarriages, baby has fatal anomalies, or an unusual placental position are detected. Many women, ultrasound scans are the highlight of pregnancy. It’s very exciting to see your baby in the womb, often moving their hands and legs. Having a scan in pregnancy is usually a happy event but be aware that ultrasound scans may detect some serious abnormalities, so try to be prepared for that information. A pregnancy can be seen from as early as 6 weeks from the first day of your last period (LMP) and not the date of conception. The NHS do not offer scans at this stage. Having a private scan will not affect your NHS entitlement to a scan and you will also be offered these. What will you see in an early pregnancy scan? Early Pregnancy Scans are normally performed trans-abdominal (through your tummy) however an internal (vaginal) scan can also be offered to see all the necessary detail, or if your womb tilts backwards (retroverted). 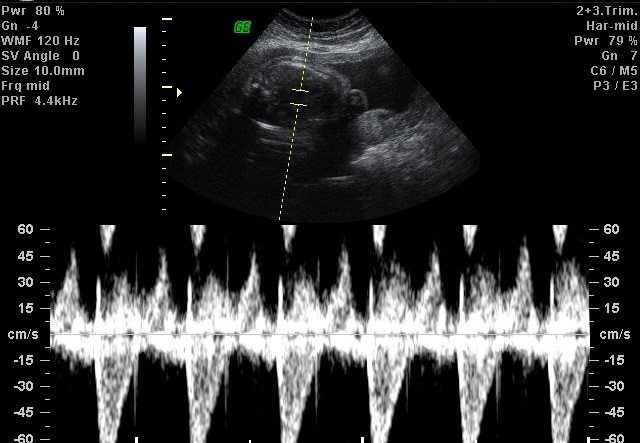 This usually provides better images in early pregnancy and will be discussed with prior to having the scan. At 6 weeks, you will see a pregnancy sac with a yolk sac inside. Baby will measure 4mm with a heartbeat. At 7 weeks, you will see a pregnancy sac with a yolk sac inside. Baby will measure 8mm with a heartbeat. At 8 weeks, you will see a pregnancy sac with a yolk sac inside. Baby will measure 15mm with a heartbeat. At 10 weeks, you will see the shape of baby, movements & heartbeat. 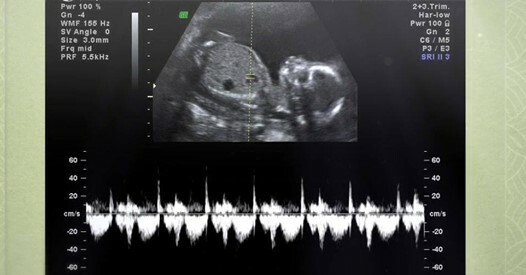 At Window to the Womb we offer scans from 6 – 40 weeks. If you wish to find out more information visit our firstScan (early pregnancy 6-15 weeks) here or Window to the Womb (16-40 weeks) here.